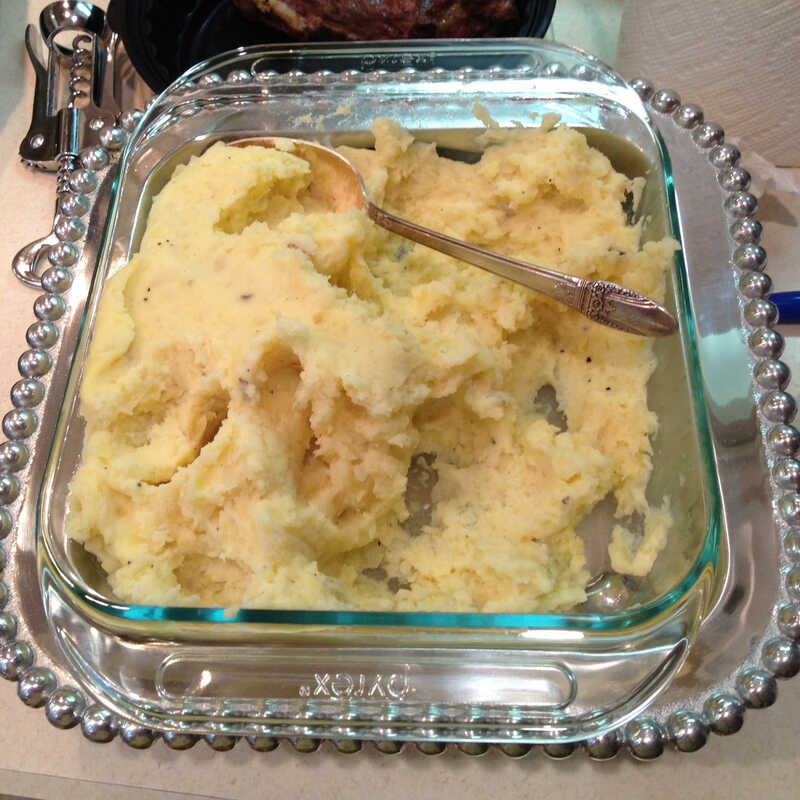 Rich and creamy mashed potatoes. My mom gave me this recipe and she makes them every year around the holidays. Peel the potatoes and slice them into a uniform width. Place in a soup pot, cover with cold water. Bring to a boil on high heat, reduce the heat and simmer until done, about 20 minutes. The potatoes should fall apart when cooked. Drain off the water and keep the potatoes in the pan. Beat the potatoes with an electric mixer until blended. Add the rest of the ingredients and season with salt and pepper to taste. Enjoy.